"Two decades since its fall and over three since its rise, we know much about the Third Reich. The careers and personalities of its leaders have been reviewed at length. Its foreign policy, military operations, ideology, institutions, press, economy, and art, schools and universities, its conduct of justice and mass extermination-all have captured the historical imagination, all been analyzed and reported in detail. In turn, they have been subsumed in the common denominators of totalitarianism and fascism. What remains is more detail. The odds are against a documentary Rosetta stone, capable by itself of casting new and pervasive light on what till now has been unrelieved darkness. Despite all we know, a lot remains to be understood. 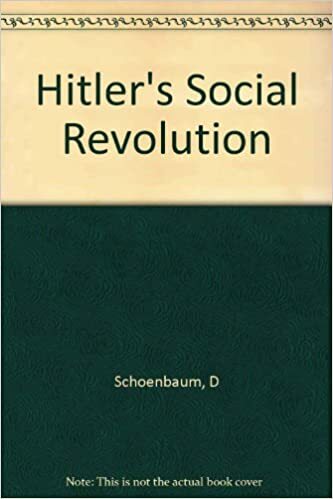 The Third Reich was the closest approximation to date of those "last days of mankind" that Karl Kraus had already anticipated a decade before Adolf Hitler's appointment as Reichskanzler. This is presumably self-evident to all but the ignorant or the willful, and acceptable to Germans and non-Germans, East and West alike. But how it happened, why it happened, what it specifically meant to those to whom it happened-these are matters of understanding. They are no less matters of controversy..."